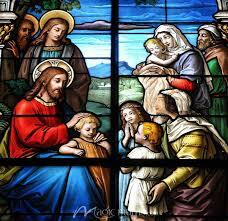 Our Lord Jesus Christ with the the children. Our Lord’s calling us his friends demands that we should love him and strive to be more like him. This entry was posted in Meditations and tagged art of holiness, John Flader, Meditation, Michelangelo, podcast, Pope St John Paul II, Prayer, St Gregory of Nyssa on September 19, 2017 by frjflader.